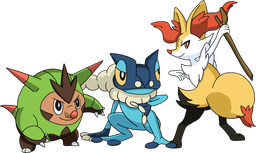 Discussion in 'Pokémon Generation V Discussion' started by Bananarama, Dec 20, 2015. There are already several similar threads for past gens, so gen 5 needs one as well. What is your favorite music from the 5th generation? Please explain why you made your choice. For me, it's Bianca's theme music, because of how catchy it is. It always puts me in a good mood whenever I hear it. The Elite Four theme because it sounds intense and the Pokémon League and Victory Road themes because for the same reason with the E4 theme. Route 10,because it's sorrowful yet promising,Reversal Mountain(outer area),because it conveys the desert area feel very well,and Gym Leader theme,because it sounds intense. Other themes I really like are:Route 2,Abundant Shrine,Icirrus City,Opelucid City(W/W2),Lentimas Town,Victory Road,Wellspring Cave,vs.Rivals(B/W),and vs.Reshiram/Zekrom/Kyurem. I also like the rival battle themes for both BW and B2W2. I find the BW one to be very catchy in particular. These games does probably have my favorite soundtrack in the whole series. I might be biased since this is my favorite generation, but still. The music was really great all around. The Credits. In my opinion, the best credits music in the whole series. I love everything about it, the melody, the instrumentation and how it suits the whole situation. You have just beaten a great game and for that comes some epic music. No other main series games tops this when it comes to credits music, and from the spin-offs, (the ones I have played) the only one that comes close is Colosseum. Emotion. Another fantastic track. This does just what it is supposed to, it brings up emotions. It was played at the right moments in both game pairs and does everything right. I tend to like bittersweet or melancholic music when it is done right, and this is really done right. I was very happy when I heard this semi-randomly appear in X/Y. Some others I like are these: Entralink, Undella Town, Gym Leader Battle, Marvelous Bridge, regular Trainer Battle, Battle Subway Battle theme, all legendary Battle themes, Rival Battle, N's Castle, Dreamyard, Opelucid City, Mistralton City, Nimbasa City, Route 10, Giant Chasm. Aspertia City. The best starting town in the series needs to have some great music. It did. I have several great memories from this and sometimes I went back to this wonderful city just so I could watch Unova from the lookout and listen to this wonderful music again. Iris Battle theme. The best Champion needs to have the best battle music, and that was how it was. I like how this is rather varied without ever feeling messy, it contains several different pieces of melodies and instrumentations that flow together extremely well. Black Tower. Another great piece of music with a genre I didn't expect to see in a Pokemon game. It is perfect for Black Tower, a somewhat mysterious tune for a somewhat mysterious and challenging place. I didn't get tired of it while on my quest to beat 1000 trainers here, and I almost want to go back and beat another 1000 trainers just so I can hear it again. Some others I like (that weren't already in Black and White) are these: Floccesy Town, Virbank Complex, Colress Battle theme, PWT, Humilau City, Reversal Mountain, Route 23, Lentimas Town. I like this battle theme as well, definitely my favourite of the Unova Champion themes. To me, it's always sounded more upbeat and happy than most of the other Champion themes. I really like the different parts/melodies of the song, too. Another battle theme I like: the B2W2 version of the Unova Gym Leader theme. I find it so exciting! Aside from that, I found Vs. Gym Leader - Final Pokémon awesome, making it one of my favorites overall. It made me feel the tension that was slowly heating up as the battle progressed. 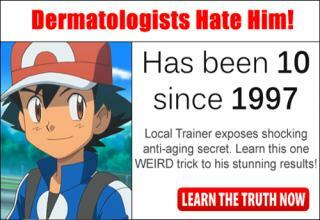 Too bad it stops when your Pokémon's HP becomes red. N's battle theme was epic and the N's castle bgm was good too, kind of reminded me of bgm from The Legend of Zelda. N's Castle's music was amazing tho I was not too fond of N's battle music. I liked Ghetsis' battle theme more personally cuz of the drums. Village Bridge always has a special place in my heart. It was so peaceful and comforting, plus the first vocals in Pokemon mains series as a bonus. Credit to cloneydew2000 for the sprites. And the Virbank Gym music too. I remember it saying 'P-O-K-E-M-O-N, Pokémon' in the English version but I like the Japanese version better for some reason. Yup and I liked the seasonal music changes in some areas too even tho I've barely noticed them ha ha. Undella Town has the most noticable bgm change. Speaking of victory road, I honestly see tis music being played in A LOT OF AMERICAN HISTORICAL EVENTS! The Civil War, World War2, you name it. Fricking Civil War. But war has changed. I guess I'm alone in disliking Victory road's music cuz to me it sounds kind of boring. ^^; Route 10's music is better in my opinion. I completely forgot to mention this music earlier. The Village Bridge theme is another favourite of mine as I find it very peaceful and calming as well. It's one of the reasons why the Village Bridge is my favourite of the bridge areas in Unova. Every time I visit it, I spend at least several minutes listening to the song.